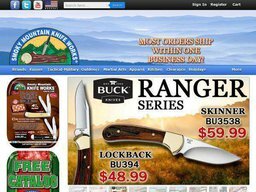 Smoky Mountain Knife Works is a retailer of knives for the kitchen, hunting, outdoors, and martial arts. It is headquartered in Sevierville, Tennessee. 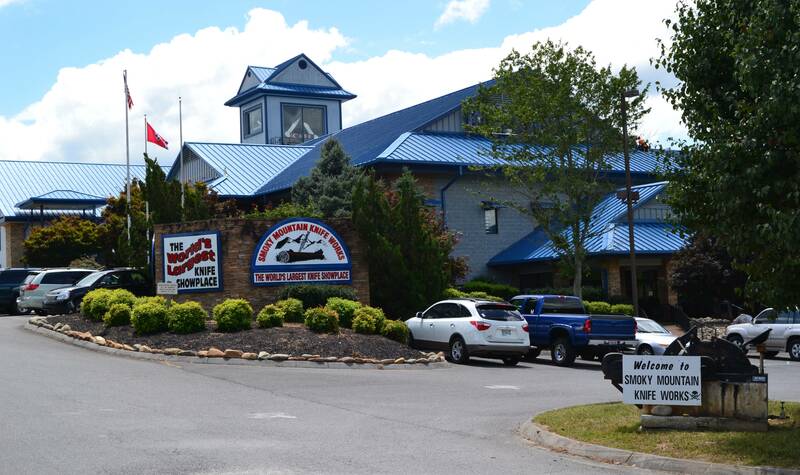 The privately held company sells its vast inventory by traditional mail order catalog, online at SMKW.com, and through their single showroom in Sevierville. What makes the website particularly appealing is the number of special offers available. These are redeemed with Smoky Mountain Knife Works coupons, a list of which we keep updated here at Coupofy. You're sure to make savings whenever you order if you shop through us! SMKW was founded in the 70s by Kevin G. Pipes, who still serves as CEO today. Pipes along with his friend John Parker started out by selling pocketknives locally at flea markets, before expanding in to a mail order business. As their inventory grew so did their customer base, and the company now reaches over 1.2 million customers each year. with a new catalog mailed monthly. SMKW.com sotcks thousands of individual knives and accessories, from many well known and lesser known brands. Users can browse via the search bar or by category, including: Military, Hunting & Outdoors, Martial Arts, Kitchen, and others. Styles of knives available include: Pocket, Utility, Fixed Blade, Folding & Switch, Bowie, Ceramic, Locking & Non-Lock, Machetes, Hunting, Fishing, Swords, Throwing Knives, and many others. Knife accessories include sharpening kits, cases & holders, tools, and more. There are many popular brands available, such as Esee, Emerson, Colt, Rough Rider, Frost, Schrade, Gerber, Buck, Boker, Case, Marble's, KA-BAR, Benchmade, Gold Steel, and hundreds of others. You can also buy apparel, camping and outdoor gear, martial arts weapons, kitchenware and utensils, home decor, and much more. To redeem a Smoky Mountain Knife Works coupon code, you simply have to paste or type it in to a "promotional" box prior to payment. If the code is valid you will see a confirmation message. The company ships via UPS and gives customers the following shipping options: Standard, UPS Ground, UPS 2nd Day and Next Day Delivery. Express delivery options exclude personal checks and all orders are shipped on business days. Orders delivered outside of the contiguous United States will be shipped via USPS and some shipments are subject to additional shipping charges. From time to time they run a free shipping offer through the redemption of Smoky Mountain Knife Works coupon code. Smoky Mountain Knife Works offers customers a 100% Satisfaction Guarantee and accepts returns and exchanges on merchandise for any reason with no questions asked if returned within 21 days from the date of purchase. The company does not accept returns or exchanges on merchandise that is worn or damaged, misused or seen as used with lack of reasonable care. If you have applied any SMKW coupon codes to your order for a discount, you will obviously only be refunded the actual amount charged to your credit card.